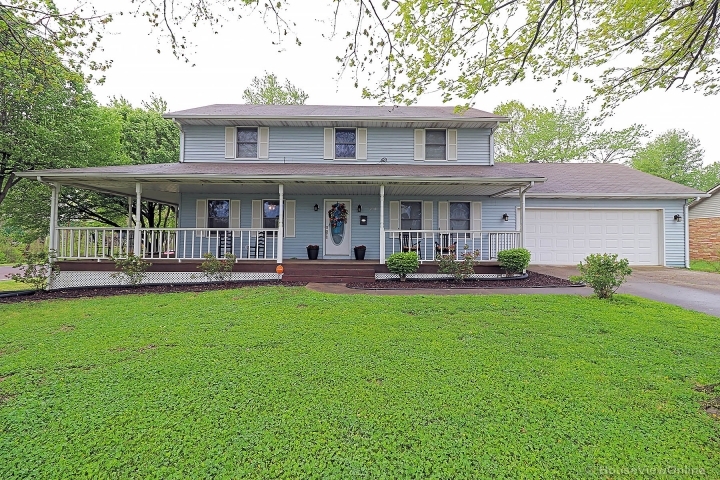 PRIVATE SETTING ON 10 ACRES: This all wooded setting is only two minutes from Fredericktown and offers a 3-BR, 2-BA spacious home with over 2,400 sq. ft. There is a full partially finished basement with an entertainment room w/ a gas fireplace, exercise room and a unfinished storage room. The main floor features a large master suite, big kitchen & dinning area with new countertops and breakfast bar. There's a large loft area overlooking the great room that could be a 4th BR. You're sure to love the large deck out back for entertaining those family get-to-gathers. There's a 3 car attached garage and 40'x50' detached workshop/garage that offers it's own central H&A and large loft area with lots of shelving for storage. If you need more room and a place to park and work on your toys, come take a look!